It was all so different, about a week ago. Then Beyoncé dropped Lemonade and pretty much broke the internet. Let me tell you how it went down at my house. We had just had dinner. My husband was watching the Stanley Cup hockey game. We live in Chicago. His brother lives in St. Louis. This was intense. And then I got on Twitter and realized I was about to miss out on Lemonade, Beyoncé’s new secret HBO film/musical experience. It took some convincing for him to change the channel, but once he did we were both immersed into the world of Beyoncé. We both watched the whole thing, transfixed. When we heard “Hold Up,” my husband looked at me for a long, considered moment. “Who does this remind me of?” We weren’t exactly sure yet! But when I got on Twitter and saw the info about Ezra Koenig’s tweet that was inspired by the Yeah Yeah Yeah’s Maps (and then later on, when I heard the snippet of his demo), it made all the sense. Vampire Weekend! I LOVE THEM. My husband and I are BIG fans and try to see them in concert whenever they go through Chicago. I was instantly enthralled by that song’s reggae influences — Beyoncé even says “mi sing say,” which is a trademark declaration of legendary dancehall artist Beenie Man and a few other dancehall artists. Then the next track, “Don’t Hurt Yourself,” features unmistakable vocals and guitar by Jack White, who we’ve been musically obsessed with since his days with The White Stripes, and layered vocalizations by the incredibly talented Ruby Amanfu. “Six Inch” adopted the sweeping strings and grandeur from one of my favorite Isaac Hayes songs, his version of “Walk On By” and married it with the sensual vocals of The Weeknd. 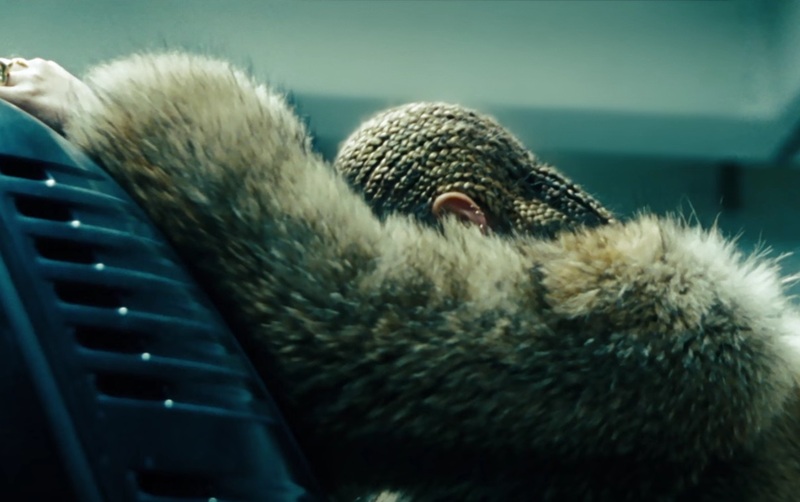 I first was arrested by the visuals of Lemonade, but soon the music became embedded in my head. I became fascinated by the samples, which are a whole separate thing unto themselves, worth discovering. And then I got a super fun freelance assignment — I wrote this piece for Elle.com — click here to read Kim Kimble’s insights on Beyonce’s hair looks from Lemonade! In order to write that, I had to binge on Lemonade. I watched it over and over again. I started finding myself humming the songs even when I wasn’t listening. And then I started thinking about the process of deciding on these collaborators and the songs that I was reminded of by listening to Lemonade. I love the idea of Beyoncé at home, rocking out to Jack White or Vampire Weekend, dancing to Diplo and Major Lazer, or blissed out to the sounds of James Blake. So in the spirit of that, I hope fans of Queen Bey enjoy the music of her collaborators as much as I do! Here are 20 songs by my personal favorites of Beyoncé’s Lemonade collaborators that I hope you enjoy as well! Romie- Beenie Man. Classic dancehall! Heard anything you liked? Let me know in the comments below! « Beauty Ingredient Breakdown – Charcoal. Tips, Product Picks & More! Great piece and I have to say that I don’t know all of these young artists but did enjoy listening to them.